Hi! I’m Jennifer Colburn, a mama of twins, runner, coffee lover, vegan cook, essential oil educator and health coach. I was born and raised in Dearborn, Michigan, spent most of my adult life in Tennessee, and now Live in Northwest Arkansas. I love cooking. I was first introduced to the kitchen and vegetarian cooking when I was an early teen. I remember the first time I was left alone in the kitchen to make whatever meal I desired. I made my mom’s famous Mock Chicken loaf and opened a can of green beans to go with it. Truth be told, I didn’t really know what I was doing. Through the years, I started developing a desire to learn how to cook. A family friend hired me on to cook and clean in preparations for parties that were to be held in her home. This was my opportunity to work with a woman that had amazing knowledge in an area of vegetarian cooking. I learned how to cut, clean, and prepare foods. 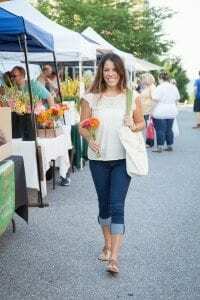 I went with her to farmer’s markets and learned how to pick the best fruits and vegetables and learned how to set an environment that drew people to the food and happiness. I tucked those skills under my sleeve for later. I didn’t pick cooking back up until I was dating. I now had a purpose to cook. I can honestly tell you that everything that I made for my boyfriend wasn’t always perfect, but with every failed casserole, soup, and dessert, I was even more eager to find something that did taste amazing and met his approval. For me, it was the drive to find the “secret” behind great cooking. My boyfriend, became my fiance and my cooking didn’t stop there. I knew that catering would be terribly expensive for the amount of people we wanted to have at our wedding, so my thought was, “why can’t I do it?” Yep! That is exactly what I did. I catered our wedding. I made a special meatloaf recipe, veggies, salad, cheese and fruit plates. Oh! don’t forget the 1000 plus vegetarian meatballs that packed my freezer! All this food was made by my hands and my mother’s. The food was a hit and the evening went magically. After starting a career as an elementary school teacher, my attention was poured into my students and administration. My passion for food died out. My husband and I had different schedules and didn’t get to sit down much together to enjoy a home cooked meal. I decided since my evenings were spent by myself I would take the time to go back to school for a new passion in holistic living and nutrition. I loved to eat healthy, why stop there? I wanted to learn how to live healthy. I started studying holistic nutrition from an online natural health school. For 5 years, I gained knowledge on how to live and eat a holistic lifestyle. So I decided to follow this passion and resign as a school teacher and work as a personal trainer for Gold’s Gym. These were some of the best times in my life. Not only did I get to help people with exercise programs but I was able to counsel them with eating more healthy. I worked at the gym for 3 full years and then my husband was called into teaching and we had to move. Not long after our move I got pregnant. We were excited to start our family. I had it all planned out. I would be this fit mama and eat perfectly! Well, 15 weeks in, we wanted to see if we could find out the gender of the baby. During the ultrasound, I noticed something different. This was our first 3D ultrasound so I wasn’t real sure what I was seeing. The doctor spoke up, “So! 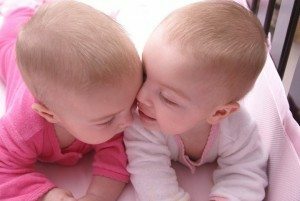 You know you are having twins right?” Um, WHAT?! I thought he was joking. 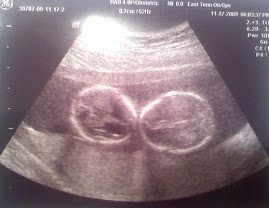 “Yep, you are having twins, see, head one and head two.” I immediately started to shake in the seat. My husband was in the corner, YES! YES! (Doing the fist pump.) What was I going to do? I only had one baby pictured in my head and now I had to think of where I am going to put two of everything! 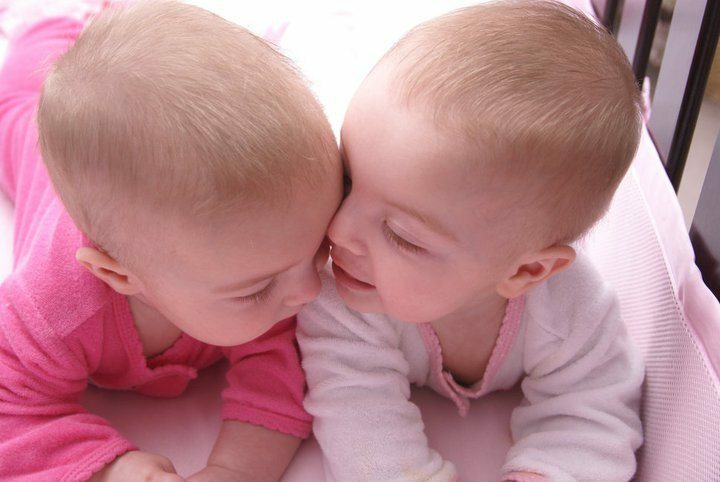 How do I take care of two babies at the same time? We just went from two people to four people in our family! How am I supposed to uphold this fit mama image and what am I supposed to eat in calories for carrying two babies? Oh, my head was spinning. 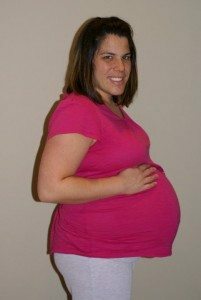 Through my pregnancy, I did have slight complications that caused me to quit running and exercising. The only form of exercise I got, was a prenatal yoga video while sitting on an exercise ball. Yes, I did continue to cook. I went as long as I could in the kitchen before having to sit and get off my feet. I didn’t eat a ton, in fact, anything that had sugar or egg in it, it tasted like metal in my mouth. So eating healthy was quite simple. I also chose to start going vegan at this time. From a child on, I struggled with lactose intolerance and this was my opportunity to help my body feel better in some way. I didn’t let myself make excuses and I hated it when people told me, go ahead and eat anything darlin! You are eating for two! I found that when I ate my fill of fruits, veggies, and protein, I had all the nourishment I needed for me and my babies. For those concerned about me being vegan and pregnant, I did consult with a doctor and I had the “green light” to live a vegan lifestyle. My iron level and other nutrient levels remained steady. There was no reason for concern. The only craving I had was peaches and potatoes, and when I ate them, it tasted like metal. So I didn’t eat them much. Wouldn’t you know, I still gained 60 pounds and the day before I delivered my babies, I weighed in at 220 pounds. This is me a week before having my girls. Yep, this just got real folks! After a couple months of being a new mama, I was struggling with our twins having reflux and digestion issues. They were put on Prevacid and I was told that they would be on it for a long time, at least until they were able to work through the digestion issues from being preemie. Being a natural minded person, I didn’t like this one bit, but this was the only option I had to go with and if it was going to help, then so be it. We continued using it but came to the final end of our rope and the doctor couldn’t suggest anything else for us, besides surgery. I didn’t know how to approach this with my new babies. Being natural minded person, I wanted to explore any other options that would help support my babies’ bodies. That’s when my girls’ godparents had an idea of trying essential oils on them. From what I knew about essential oils was that they were supposedly effective. I was skeptical, but I trusted the godparents (one being a nurse) and I took the bottle of peppermint oil thinking it would not help much. But it was natural and toxic free so why not give it a try. I put one drop of peppermint essential oil in some coconut oil and put it on my babies’ tummies. That night was the first night they were able to sleep without any issues. The peppermint oil actually supported my twins bodies to help them heal themselves. From that moment on I became an “oiler.” My family used oils all the time for everything and our health has stayed strong. Now, my girls will ask me for the oils when they don’t feel well and I am confident it will help. The oils went really well with my holistic schooling, my vegan cooking and passion for helping others, I decided to take it one step further and return back to school with the Institute for Integrative Nutrition (IIN) to get my certification in health coaching. I am excited to offer this service. I believe in bio-individuality, where one person’s food is another person’s poison, so finding what works for each client is based on a program that is individualized for them. Schedule a free Health History session today to see how we can help you achieve your goals. 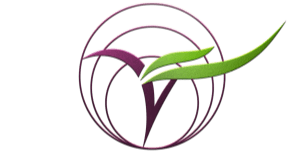 I am so excited to share this website with you, I’ve wanted a place where you could find my vegan recipes, health and wellness tips and articles. So I am happy to introduce, THE VEGAN SEED. Thank you for being apart of making my dream real. I look forward to the time I have to spend with you sharing about my life’s passions, vegan food, essential oils, and health coaching. Get wellness tips, recipes and tangible tools for a fun and healthy lifestyle. It's FREE! Your success starts now! Thank you for your interest!